Like most parents, I struggle with finding healthy snacks that are nut free, healthy, and kid approved. 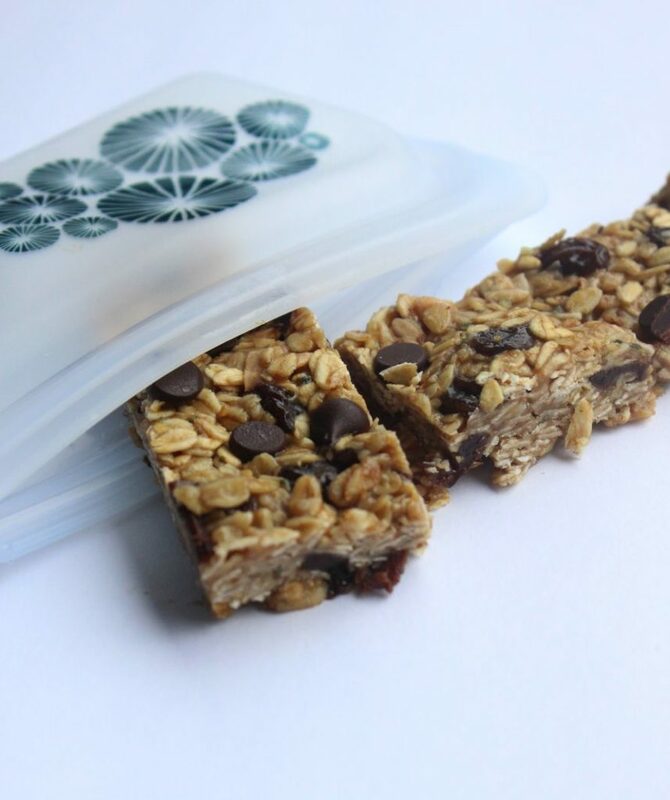 These granola bars check off every box and my girls loved them, phew. 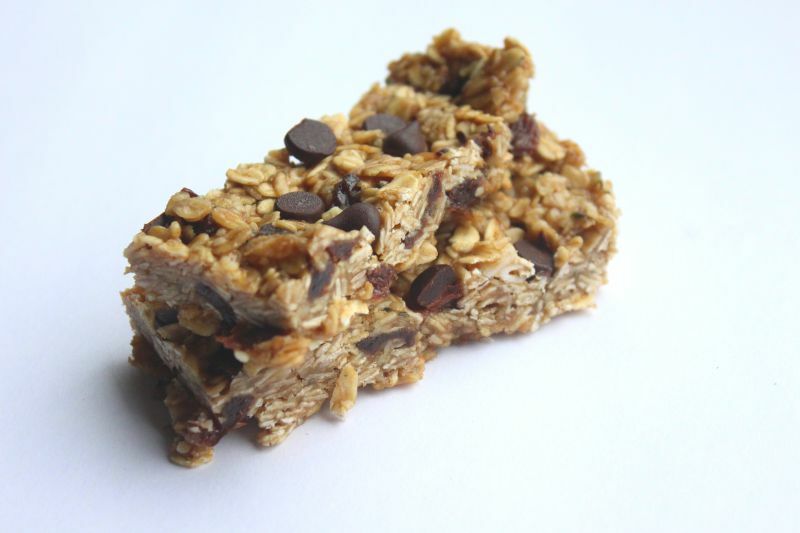 These nut free bars are easy to make, delicious, healthy, and most importantly kid approved. These nut free granola bars are full of healthy ingredients like oats, sesame butter, unsweetened coconut, raisins, hemp hearts, and dark chocolate. You can easily substitute any nut butter for the sesame seed butter if you like. The great thing about granola bars is you can use a variety of ingredients to suit your taste buds. While homemade granola bars are healthier, creating the right texture can be difficult. Most fall apart easily, leaving little crumbs everywhere. To create a chewy texture I used rice syrup and maple syrup and baked them in the oven. Like most girls, (me included) my girls love chocolate and could eat it for breakfast, lunch and dinner if I let them. I added dark chocolate chips. Totally optional, but if you ask the girls they would agree it’s a must. 1/2 cup of unsweetened coconut flakes. line 9x9 baking pan with parchment paper, I like to leave some hanging over. On a baking pan combine oats and coconut flakes and bake for 5-7 minutes until lightly brown. Check frequently. In a large bowl combine, seeds, raisins, hemp hearts, cinnamon. Add oats and coconut flakes. In a medium pot, combine oil, sunflower butter, rice syrup, maple syrup, and vanilla. Bring to a boil, stir frequently. Add liquid ingredients to dry and combine. Place in pan and press firmly with the bottom of hands or use bottom of glass. Add chocolate chips and lightly press into bars. Allow bars to cool completely before cutting into bars. When it comes to school lunches I am always trying healthy nut free snacks. Miss E loves granola bars and could have them everyday in her lunch and we often make these chewy nut free granola bars. while Miss Q prefers a variety of snacks like banana bread. I recently, made these lunch box cookies by fraiche nutrition and both girls loved them. 5 tips for healthy eco-friendly school lunches !